It’s no lie that one of the main reasons I visit Disney as frequently as I do is for the treats. Everything about Disney is magical and the food at the parks is no exception. So when I heard that Magic Kingdom was releasing some new food items I knew it was the perfect time for my first Magic Kingdom snack tour. 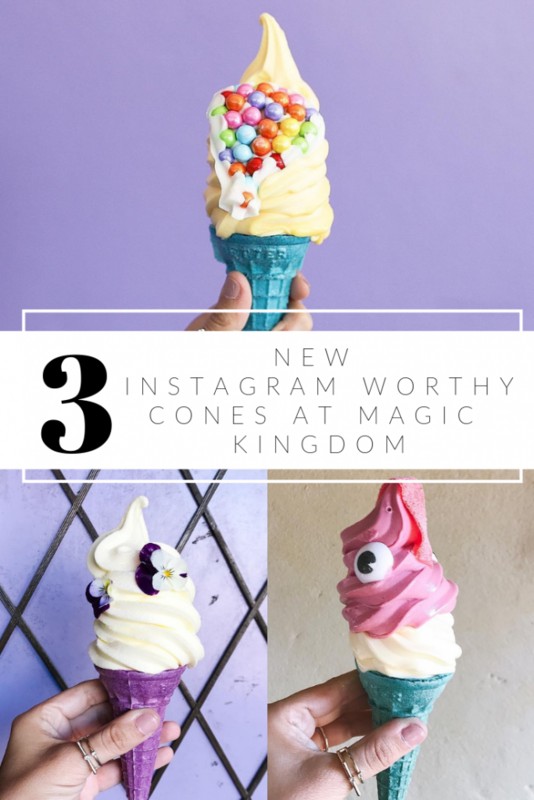 We spent the day searching for the most instagram worth Disney Snacks and boy did we find some. 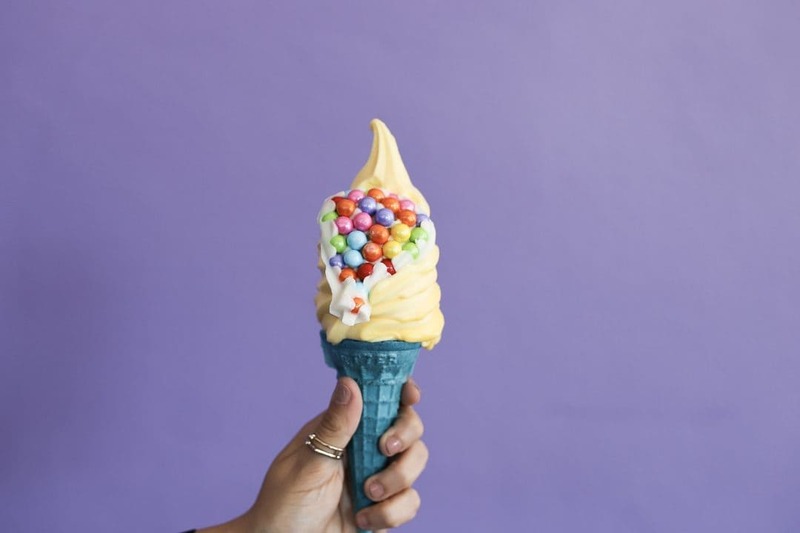 This cone is inspired by Disney-Pixar’s “Up.” This blue sugar cone is topped with mango soft-serve and a candy balloon piece. The candy was made of white chocolate and what seemed to be M&M type candies. My girls devoured the candy pretty quick but I loved the mango soft serve which I found to be less sweet than traditional dole whip. FIND THIS CONE: Auntie Gravity’s Galactic Goodies in Tomorrowland. This place was a little tricky for me to find. When you are going into Tomorrowland make a left like you are going to the speedway and its immediately on your left. 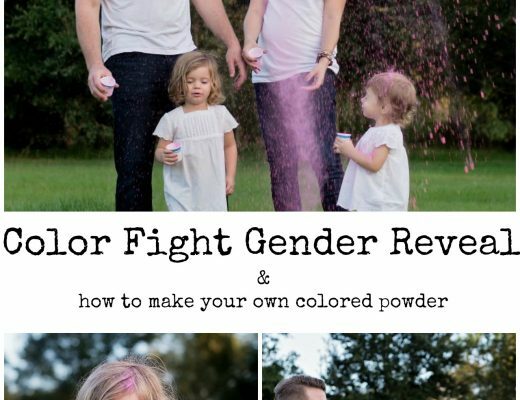 If you hit the bathroom you have gone too far. 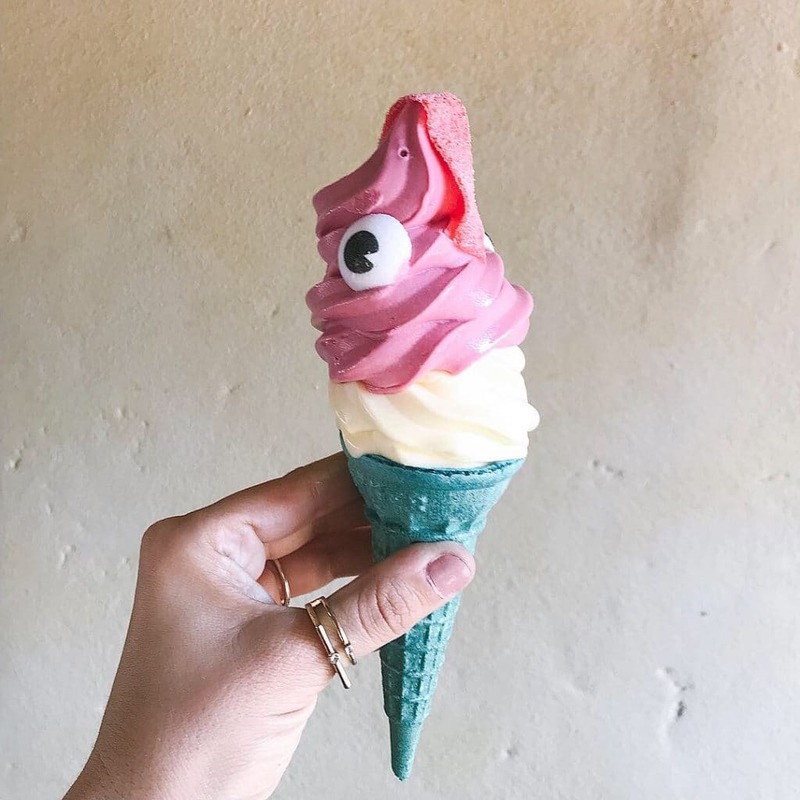 If you are looking for something light and refreshing, this cone is it. 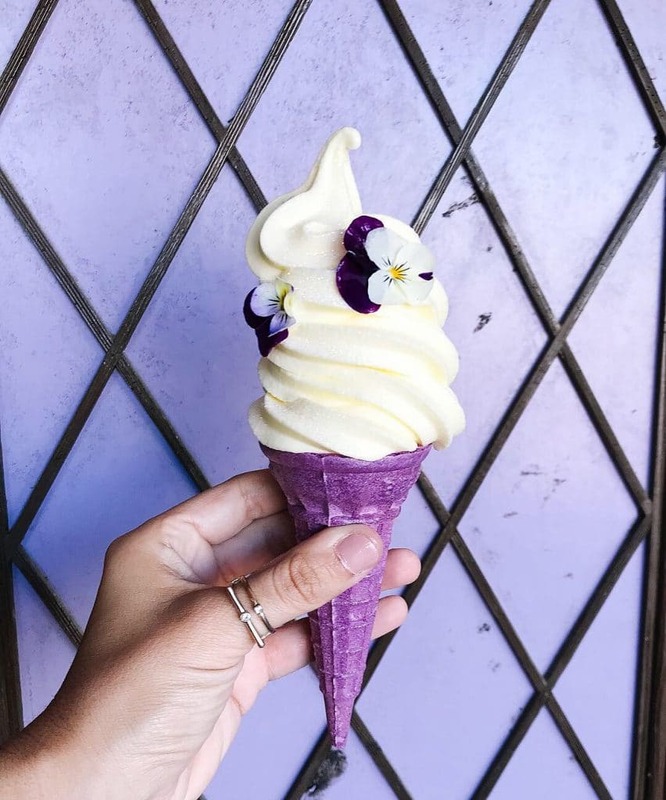 Inspired by Rapunzel, this purple cone comes topped with lemon soft-serve and lovely edible flowers. There was one thing that was extra special about this cone that shocked me. It has edible glitter which made it sparkle! 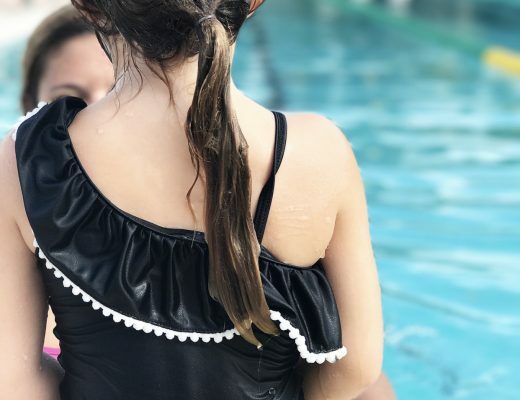 This cone is inspired by Moana’s feathered side kick. 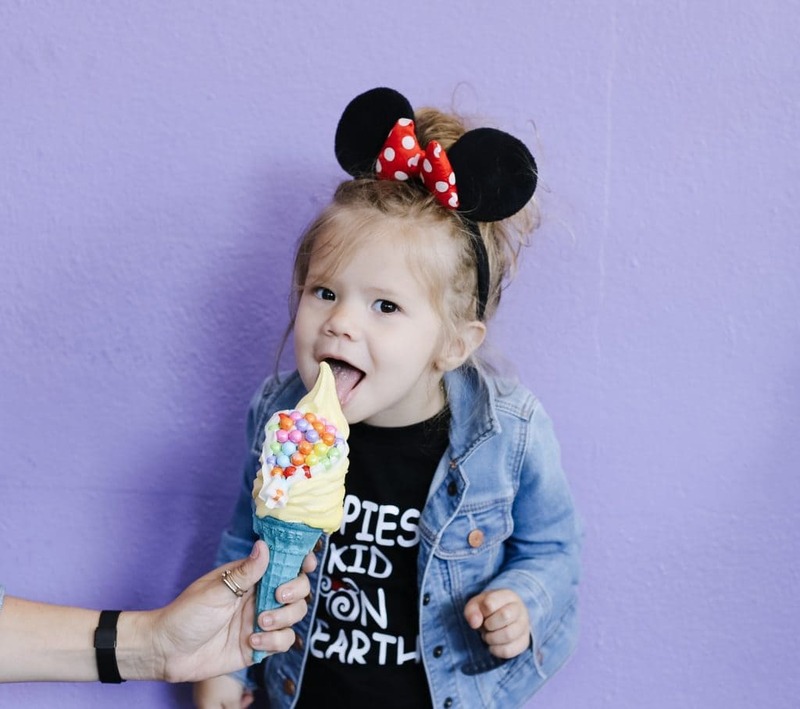 This treat features a blue sugar cone topped with raspberry soft-serve, pineapple Dole Whip, sugar eyes, and sour candy. The raspberry on top had to be my favorite of what I tasted all day. FIND THIS CONE: Aloha Isle in Adventureland (where you normally get the famous Dole Whip). Since this location is already busy you can expect the line to be extra long with the addition of this adorable cone. I didn’t try the mobile ordering but would definitely suggest trying it to avoid the long wait time. 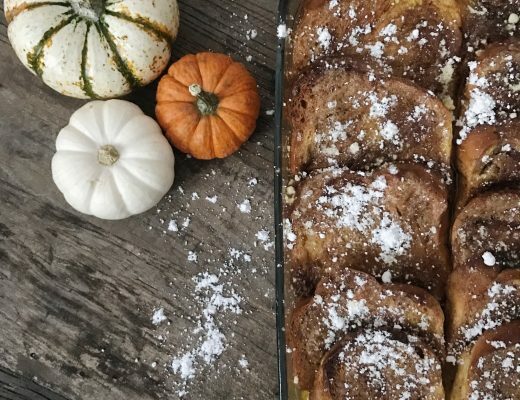 So there it is, our day of yummy treats. There are so many more treats to try at Magic Kingdom, what are some of your favorites? 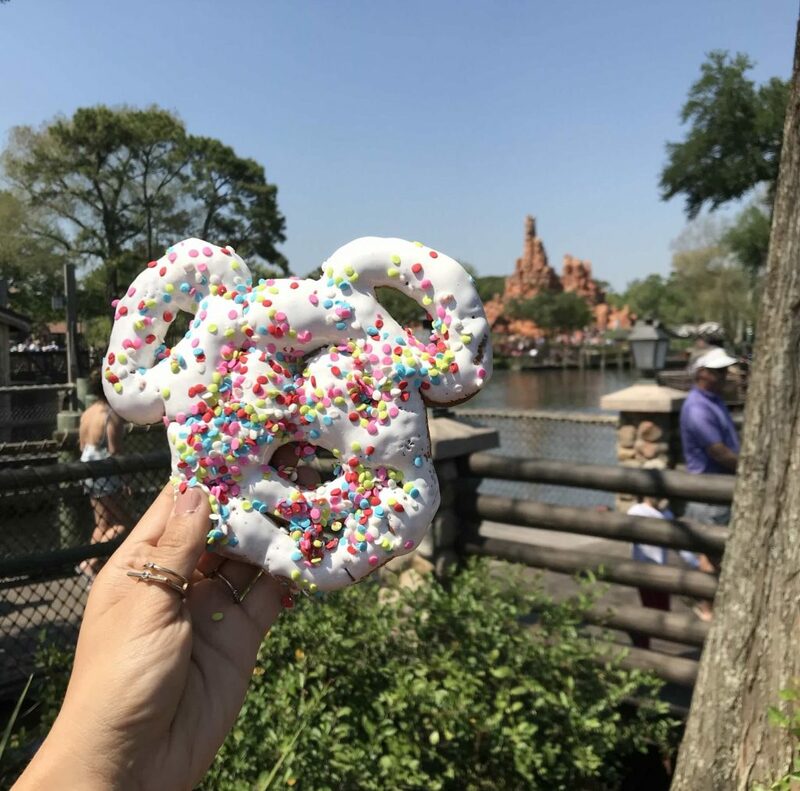 Have you done your own Magic Kingdom snack tour?